I purchased this postcard when Joan and I were at a sprawling antiques store in Bennington, Vermont, earlier this year. Do you recognize this? While waiting to see a lawyer in the Howard Gould case I thought I would drop you a line. We often think and speak of your fine visit. Wish you would come again. The Goats are running again and things are getting lively. BURT. So, who was Howard Gould? And what was his case? To answer that question, we need to hop into our DeLorean and channel 1.21 gigawatts of energy through the flux capacitor. He was a key co-conspirator in some of Boss Tweed's Tammany Hall corruption. 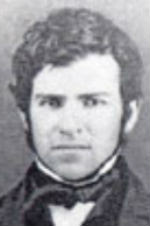 He and James Fisk caused the Black Friday collapse in gold prices in 1869. He precipitated an international incident and near war between the United States and Canada when he attempted to have Lord Gordon-Gordon kidnapped in the 1870s. This came in the aftermath of Lord Gordon-Gordon swindling Gould for $1 million. 2. ...Howard Gould (1871-1959), who lived off his father's fortune and also had his father's penchant for getting embroiled in scandals. Howard Gould built a huge estate in Sands Point, New York (The "East Egg" of "The Great Gatsby"). The mansion had 40 rooms and an 80-foot tower. Based on Kilkenny Castle in Ireland, Gould's own Xanadu was constructed with granite and limestone and cost more than $1 million. A rough estimate is that a similar estate today would cost between $25 million and $35 million. But, despite all his millions, Howard Gould found that money couldn't buy him everything. One man, in particular, emerged as a thorn in his side. "[With] his most expensive mistake, actress Katherine Clemmons, her talent did not match her looks and all Bill’s attempts to make her a star ended in failure, but Katherine picked herself up, brushed herself off, and went on to marry a millionaire." That millionaire, of course, was Howard Gould. And so we come to a tumultuous marriage and divorce. 4. Howard and Katherine were married on on October 12, 1898. At that time, she was roughly 18, Howard was 27 and Buffalo Bill was 52. The Gould case was a Kardashian-level national sensation. 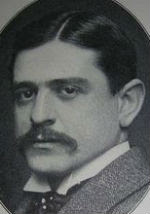 Howard accused his wife of infidelity, naming both William F. Cody and a silent-movie actor named Dustin Lancy Farnum. He was ordered, according to Wikipedia, to pay the massive sum of $36,000 per year in alimony. That's the equivalent of $860,000 per year in 2010 dollars. Ouch. 1. 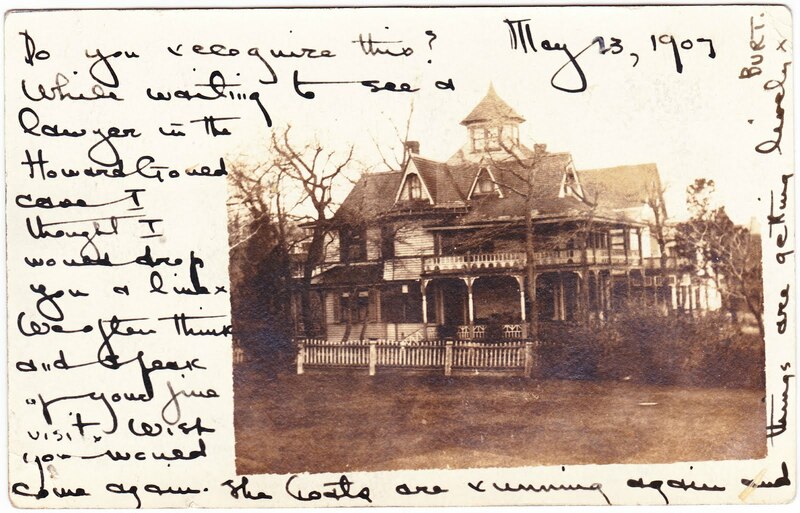 Frank Herron's "100 Years Ago Today" blog has a post that contains neat tidbits from the newspapers of May 23, 1907. 6. Al Dunlap, Scott Paper Co.
3. No, not the fictional Buffalo Bill of "It puts the lotion in the basket" fame. 4. 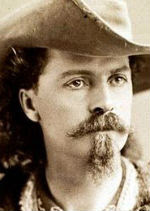 Buffalo Bill's Medal of Honor was revoked in 1917 and reinstated in 1989. There's that evil guy popping in again. According to that obituary, she is survived by many descendants, including granddaughter Carolyn Stover -- still a resident of Valley Falls, New York. No doubt Carolyn and her extended family members would be overjoyed to read your post about her great-great-grandfather's ephemera -- which is anything but ephemeral.